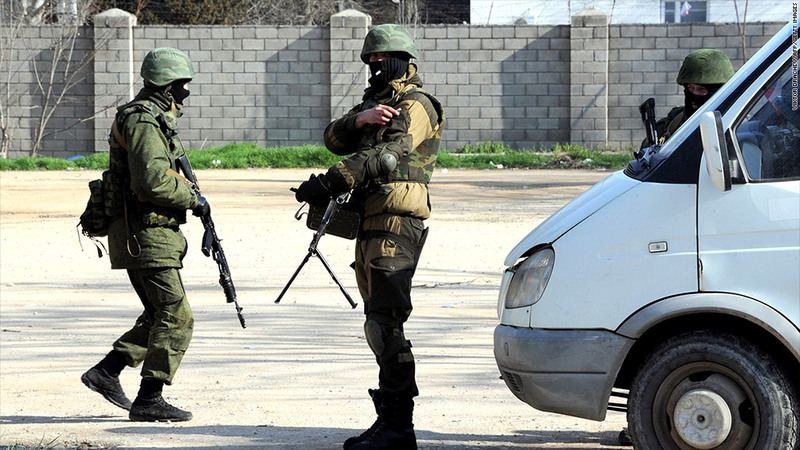 Pro-Moscow forces patrol Sevastopol, Crimea, ahead of a weekend referendum on whether the region should break away from Ukraine and join Russia. The West says the vote is illegal and won't be recognized by the international community. Western officials are preparing to punish Russia and provide more support for Ukraine's new pro-Europe government as the crisis in Crimea escalates. 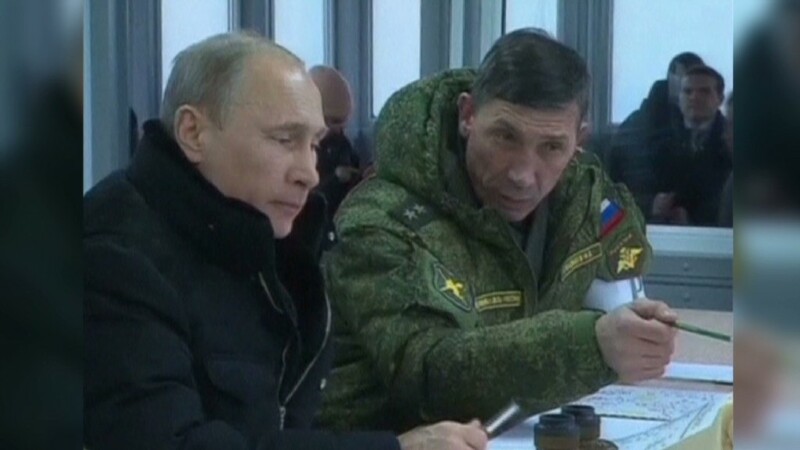 The U.S., U.K. and other European countries were meeting in London to prepare a list of Russians who would face a travel ban and have their assets frozen unless Moscow talks to Ukraine about resolving a military standoff in its Black Sea region. European leaders, including U.K. Prime Minister David Cameron, said the window for diplomacy was closing fast as Crimea prepares to hold a referendum on joining Russia on Sunday. The West says the planned vote is illegal and won't be recognized by the international community. French Foreign Minister Laurent Fabius tweeted that sanctions could come as early as this week, although the European Union may want to wait until all 28 foreign ministers meet in Brussels on Monday before taking a final decision. The EU has frozen the assets of 18 people linked to the former Ukrainian government, including ousted President Viktor Yanukovych, who has fled to Russia. President Obama signed an executive order last week authorizing the freezing of U.S.-held assets owned by people responsible for destabilizing Ukraine. The U.S. has already imposed travel restrictions on some Russians and Ukrainians, according to senior administration officials. Western governments have dropped talks with Russia in other areas, and suspended preparations for the G8 summit in Sochi due later this year. The initial focus on individuals, rather than Russian companies or trade in energy and goods, reflects concern -- particularly in some European countries -- that a new cold war could hurt the region's fragile economic recovery. Analysts say Russia would be the ultimate loser of any prolonged trade war, but European exporters and investors would suffer too. The flip-side of pressure on Moscow is growing Western support for Kiev. The World Bank said it hoped, by the end of this year, to have approved a new pipeline of Ukrainian projects -- for infrastructure and social safety net programs, among others -- worth $3 billion. That would come on top of an existing World Bank program worth $3.7 billion. And the EU put more flesh on the bones of its 11 billion euro ($15 billion) package of financial support announced last week. The European Commission proposed a temporary reduction on duties on Ukrainian imports in a bid to support the ailing economy. The unilateral trade measures will be worth about 500 million euros per year to Ukraine, with most coming from reduced tariffs on agricultural products. The commission said it hoped the cuts would take effect in June and run until November, pending the signing of a comprehensive trade agreement with Ukraine. "In short, the EU will open its doors to exports from Ukraine, giving a real boost to Ukrainian companies," the EU's top trade official Karel de Gucht said. The U.S. has offered Ukraine $1 billion in loan guarantees, and more assistance is expected to come in the form of an International Monetary Fund program. A team of IMF experts is expected to conclude an assessment of the economy this week.